Circle Storage has multiple locations in the greater metropolitan area of Cincinnati. Be sure to check out all the convenient storage solutions our facilities have to offer. Circle Storage is proud to have multiple facilities in the greater Cincinnati area to serve your varied storage needs. With lots of space and a multitude of units and sizes, we’re sure to have something that fits your needs perfectly. Give us a call today! Our facilities boast lots of features to help make your self storage process all the more simple and fast. Take advantage of ground floor access combined with drive-up accessibility to every unit to help save you time and energy. Need those last minute packing and moving supplies? Every single one of our offices sells a variety of materials to get you on your way. In addition to these services, we also offer 24 hour access for an additional fee at our locations, and uncovered, outdoor parking spaces big enough to accommodate your vintage car or boat trailer. Whatever you want to store, choose Circle Storage to take care of you! At Circle Storage, we take the security of your personal property very seriously. That’s why all of our facilities are entirely protected and secure. We have perimeter fencing surrounding all of our locations, with gate access to only those that rent with us. Your unit will be further protected by a system of security cameras that keep an eye out 24/7. We want you to feel confident in our ability to keep you and your belongings safe and secure, so let us know if there is anything else we can to do to increase our security measures to make you feel more comfortable. We serve a wide area of southwestern Ohio across the greater Cincinnati metro. Whether you live in West Chester, Harrison, Eastgate, Colerain, Blue Ash, or Amelia, we have a facility that is close-by. All of our locations are easily accessible via the highways that crisscross the area, so follow our directions and stop in to see us. 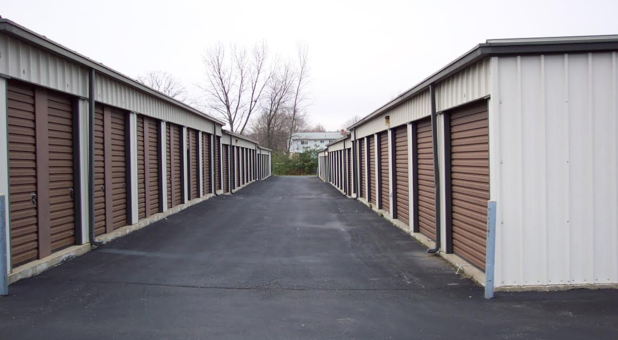 We’ll be happy to help you with any of your storage questions and get you on your way to self storage success.